BRYAN EATON/Staff photo. 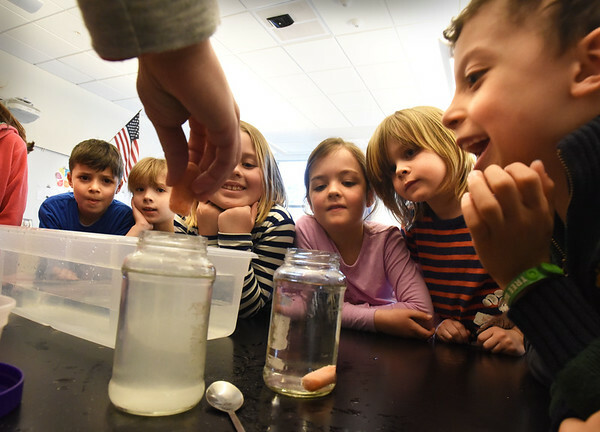 Students watch as Amy LeBlanc drops a small carrot into salted water which makes it more buoyant than the carrot that sank to the bottom in plain water in the jar at right. They were doing different science experiments in the STEM lab at one of the Bresnahan School's Afterschool Programs.